FM will start Streaming automatically.ALL FM statios Plays well in Google Chrome or Mozilla Firefox browsers.Make Sure You Install Adobe Media player to listen this station. Please contact us by clicking Contact us button above and we will get back to you immediately. 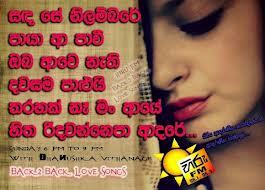 This FM established 12 Years ago and from then it is Online and entertaining Sri Lankan People. This Fm is rated the number one Sinhala radio channel as per the latest Listenership survey.It was rated the number one Sinhala radio channel yet again as per the latest independent listenership survey conducted recently covering the entire country.This FM is, as at now, a multi-award winning Radio Channel in Sri Lanka. 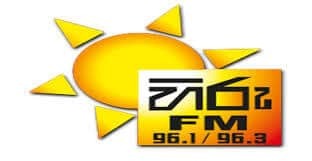 This FM became the Radio trend of Sri Lanka, and is now being imitated both near & far, as it has succeeded in acquiring a variety of listeners with the approach of Infotainment. This FM mesmerizes its listeners with a tantalizing music mix, whilst spearheading news reporting with an island wide. Address: 35th Floor,East Tower,World Trade Center,Colombo 01,Sri Lanka.